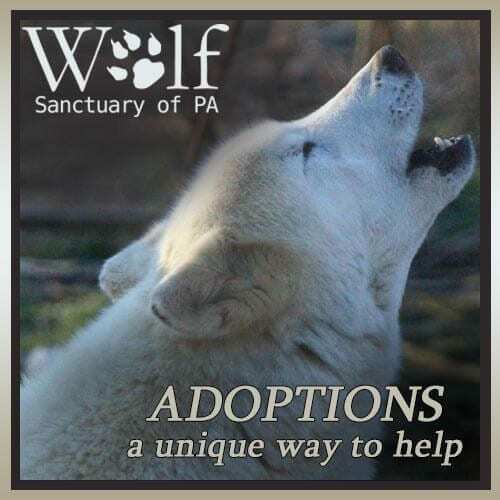 Wolf Sanctuary of PA is a non profit 501c3 with no state or federal funding. We maintain the well-being of the wolves only through your generous support. 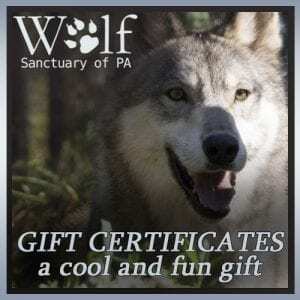 Please invest in Wolf Sanctuary of PA, and help us to continue to care for these mysterious and misunderstood creatures. WE NEED YOUR DONATION. Donations help fund the daily operations and upkeep of the sanctuary. We rely on your support to continue in our efforts to provide quality care and enrichment for all of the wolves. 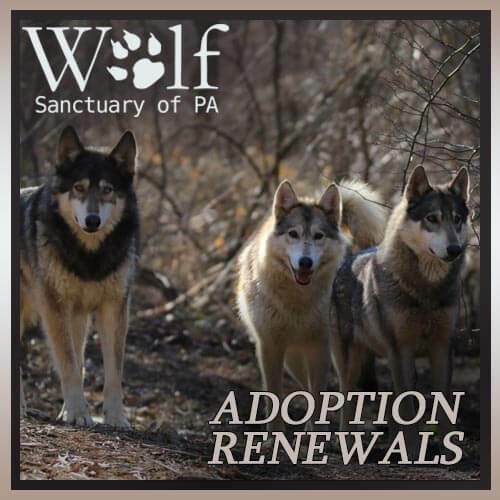 Please invest in Wolf Sanctuary of PA, and ensure the safety and care for those who need you now. Sign up to donate monthly by checking the box at checkout and show your support throughout the year! *Online donations are made through PayPal. You can use your PayPal account or a credit card.